You probably know him best as Dr. Leonard “Bones” McCoy in the Star Trek television and movie universe, but the late DeForest Kelly made a short-lived impact on radio. Appearing on CBS’ “Suspense” in a play called “The Flesh Peddler” in 1957, he was introduced by producer William M. Robson. “DeForest Kelley, a bright new luminary in the Hollywood firmament, who is presently being seen as Morgan Earp in ‘Gunfight at the O.K. Corral.’” DeForest starred opposite Burt Lancaster as Wyatt Earp and Kirk Douglas as Doc Holliday. His rare radio appearance, heard over 97.9 WHAV FM this Thursday night, defies what was seemingly his destiny on the aural medium. When he was born in 1920, Kelley was named after the self-styled “father of radio,” Lee de Forest. Just 14 years earlier, inventor de Forest patented the three-element vacuum tube, the “Audion.” It was an amplifier and radio wave generator whose principles are still in use today. While in his teens, Kelley became a regular soloist during WSB broadcasts from the Sunset Club at the Biltmore Hotel, Atlanta. He entered the movies while in the U.S. Army Air Forces during World War II when he assigned to the First Motion Picture Unit. He was “discovered” and made his first movie, “Fear in the Night,” in 1947. 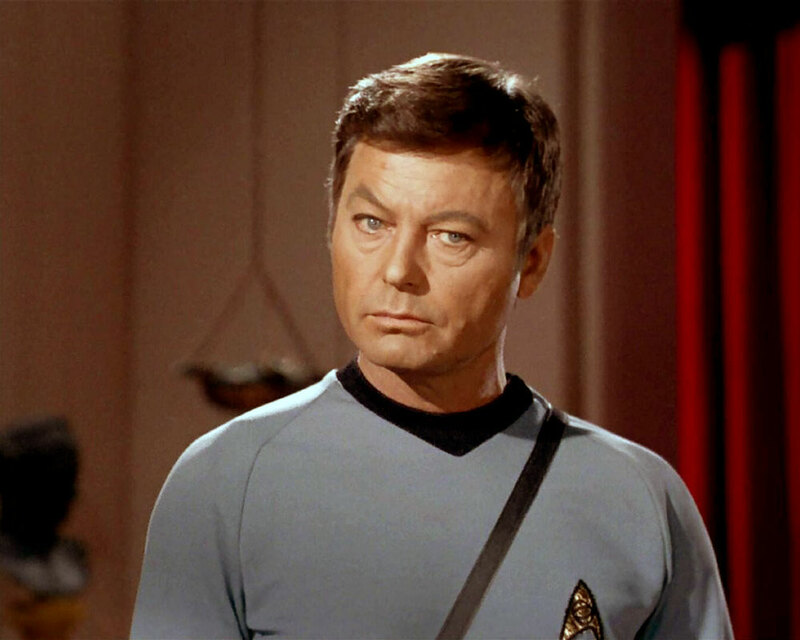 He was tapped to play Dr. McCoy in the original Star Trek series after refusing Gene Roddenberry’s offer to play Spock. He held the role on the original series from 1966 to 1969 and continued to play the character on Star Trek movies and other iterations of the television show. Gunsmoke: Tacetta; Haunting Hour: “Bird of Death,” Saturday, 10 p.m. and 1 a.m.
Yours Truly Johnny Dollar: “Phony Phone Matter;” Box 13: “The Sad Night,” Sunday, 10 p.m. and 1 a.m. Suspense (new series): “August Heat;” Suspense (classic): “Flood on the Goodwins,” 10 p.m. and 1 a.m.
Dimension X: “Hello Tomorrow;” Suspense (classic): “America’s Boyfriend,” 10 p.m. and 1 a.m.
Great Gildersleeve: Gildy vs. Sidney; Suspense (classic): “Murder on Mike,” 10 p.m. and 1 a.m.
Our Miss Brooks: The Auction; Suspense (classic): “Flesh Peddler,” starring Lee DeForest of Star Trek fame, 10 p.m. and 1 a.m. Couple Next Door: Landscape Expert; Suspense (classic): “Pigeon in the Cage,” 10 p.m. and 1 a.m.